Perinus was the governor of the region that included Thessalonica in Greece. As governor he was charged with keeping order for the Roman establishment so that what passed for "peace" in Rome might be kept and those in power might remain in power. He had a nice title and a significant amount of power and wanted to keep both. So, he knew what to do with Christians and with people who would not pledge their greatest allegiance to Rome. In a way, you could call him progressive because in the year 250 he was already very willing to torture and kill Christians on account of their faith.But there was another tactic that he was especially fond of: character assassination.Sometimes, as in the case of Heliconis, he would have a Christian locked in the temple of Aesculapius after being beaten and tortured for their insistence in believing in Jesus. Then, after some time he would release them with congratulations and comfort--insisting that they had sacrificed to Aesculapius while they were captive in the temple. Though they often had not done so it was very tempting for them to allow Perinus to lie on their behalf. "After all," they reasoned to themselves, "I didn't sacrifice or say I did...so what's the harm in pretending?" Heliconis, however, knew that such a deception was apostasy. 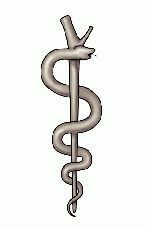 To accept the benefit of worshiping an idol was to worship it with your mind. Plus, this lie would be used to demoralize Christian brothers and sisters. They opened the doors much quicker than they expected, though, when they heard a thundering crash from within. As they looked into the temple they saw Heliconis grinning through her pain as she lie suffering on the floor and they saw the idol shattered around her.While they had waited outside the doors, Heliconis had summoned a thin remnant of her strength with a prayer and mounted the pedestal upon which the idol stood. With all that remained of her earthly might she pushed against it but it wouldn't move. She said a prayer and tried again but it only seemed to move a fraction of an inch. Fearing that the guards would soon come and take her from the temple, she prayed to God and insisted that if God wanted her to do this thing, then God would have to make it possible.With this faithful prayer she pushed once again and the statue fell forward. The idol broke on the floor and made an indelible statement to Perinus, the soldiers, and all to whom Rome might try to lie. None could believe that Heliconis made a sacrifice to the god she had shattered with the help of her own God. In a rage, Perinus commanded that she be beheaded for this crime and the soldiers were quick to comply because they knew that Perinus had the power to do the same to them. Heliconis died a martyr and a destroyer of gods. outstretched to accept all who might avail themselves of his furious love Watchman cried "Lord, You have really been gracious to me." With that, Watchman was converted and accepted a calling to a life of ministry and devotion--a life of sharing what he had received. the lower classes because the priesthood or the monastery could represent a step up in quality of life for them but that it made no sense for somebody to step down into such a calling when wealth and influence were theirs by birth. None of this convinced Bernard, though, who maintained that a calling was a calling regardless of what one stood to lose and so he fled through the Alps to part of Italy to escape his family and the envied castle life that threatened to become a prison. He gave it all up for the life of a Benedictine monk under the spiritual direction of Peter the archdeacon of Aosta. the people he encountered. 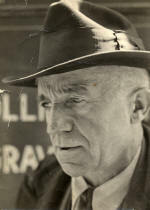 He was a surprisingly effective missionary and evangelist among the natives but perhaps the most memorable part of Bernard's story was his work among the travelers who traversed the mountains he saw as his mission field. They landed in Kent in 597--nearly 45 of them including Augustine and his second-in-command Laurence--and went to visit king Æthelberht and his wife Bertha. Bertha was a Christian princess from Frankish lands and had a bishop with her who served as her spiritual adviser. It was largely because of her insistence that the non-Christian Æthelberht had been open to accepting Christians in his lands. Of course, it helped that there was a history of Christianity in the land and the Irish Christians had proven their credibility for some time. Augustine and his colleagues began preaching with Æthelberht's blessing and proclaiming a Gospel of love for enemies and forgiveness for all and withing a few years saw Æthelberht converted with thousands of other native people. Æthelberht allowed the construction of a monastery in Canterbury and even supported a mass baptism in 601 that included converts numbering in the thousands. 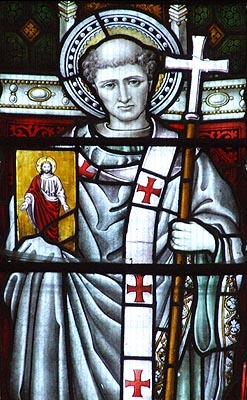 The derelict Christian traditions of southern England were revived under Augustine's leadership and soon he found himself with the title, duties, and obligations of a bishop. After Augustine and his companions had established a monastery and revitalized the Church in England, there were many more missionaries sent in 601.Augustine's foothold allowed for the triumphant return of Gospel grace and life to English villages and people. Gregory sent along the vestments and sacred articles that symbolized the status of archbishop when these new missionaries came to England to follow the will of God under Augustine's careful and prayerful guidance. As archbishop he was asked by Gregory to ordain twelve bishops to expand the ministry of the Church in England and to begin the process of setting up a second archepiscopal see in York. It was the design of Gregory and Augustine to have two archbishops in England with twelve bishops serving under each archbishop. Augustine spent the rest of his life overseeing the missionary efforts of the Church in England and training and supporting the ministers who joined with him in this arduous but glorious task. 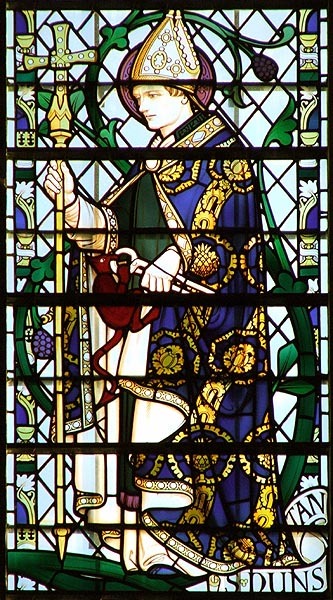 Augustine had followed the lead of Gregory and reached out to his people's enemies in love to offer forgiveness and grace. Because of actions like these, the Church found a foothold and a fortress in the hearts and souls of the non-Christian Anglo-Saxons. 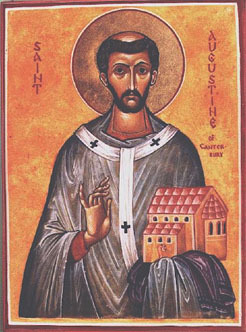 After appointing Laurence as his successor, Augustine died in the year 604 on the 26th day of May. The good work God had started in England continued even as Augustine finally rested from his labors. When Bede began to get sick he knew that it wasn't going to be long until he succumbed to the illness that he had seen in so many other monks. The swelling in his legs only confirmed to him that he had less time than he had expected. He spent the remainder of his days, though, doing what it was that he felt called to do--called to do from the beginning of his life. 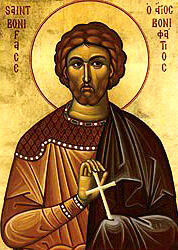 Bede had been raised in the monastery at Wearmouth-Jarrow in Christian Britain. 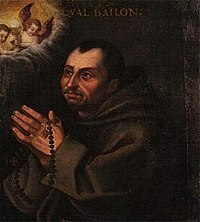 In fact, he spent every day from the age of seven on as a member of that cloistered community because his parents sought to give him the best life they knew by fostering him to a group of monks and scholars.Because of this life, Bede received an education of such quality that it was beyond compare in the seventh and eighth centuries. He learned the teachings of the Church and how to read the scriptures they valued so highly. But at the end of his life, he was still paying back the gift of his magnificent education by passing it on to those around him--to his many students. 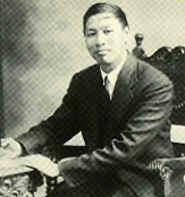 So, as his life slowly drained away from him he began teaching more fervently and worshiping even more often than was already his regular and consistent practice. Brendan was born in the country of Ireland, the county of Kerry, and the city of Tralee. 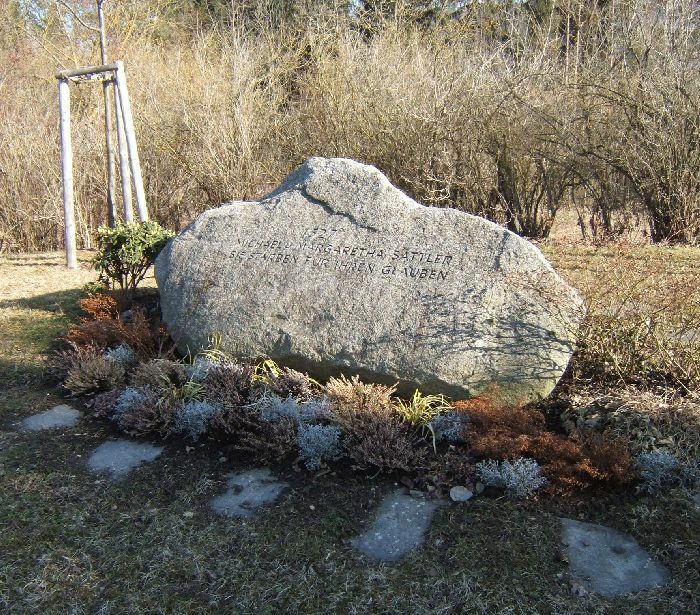 Like so many other Irish boys near the turn from the fifth to the sixth century, he was raised in a Christian home and put to bed at night hearing the stories of Patrick the Great who had returned to the island that Brendan and his family loved so dearly. After all, Patrick had been a missionary and had ignited furious passion for missions among the Irish Christians. Furthermore, Brendan was born when Brigid was already about her calling and life's work among the monastics. He surely heard the good things that this wonderful woman was doing and must have spent some of that peaceful time right before sleep and during our most vivid daydreams imagining a life for himself like hers. Some stories suggest that when Brendan was born a chorus of angels accompanied the moment to announce its importance and his significance for the future of Irish Christianity. He was baptized by the bishop Ercwhen he was but a baby and when he was ready to begin his education he was sent to Ita (the woman who would become known as the "Brigid of Munster") in Killeedy for her careful guidance and teaching. After several years at the knee of Ita he was sent back to receive the remainder of his education and training from the hand of Erc in Tralee. This was a powerful experience for Brendan but as he aged and began to experience the strengthening of his own calling he desired to travel and study under yet more great Christian leaders and teachers. Erc gave his approval but made one significant request: Brendan should return for his eventual ordination. Brendan honored Erc'srequest after several more years of study under the great Irish minds including Finnian of Clonard, Enda of Aran, and Jarlath of Tuam. He was ordained at the age of twenty-six and went out into the Irish countryside with missions in mind and monasteries to build. Because of his masterful education he soon became a master in his own right and attracted many disciples to himself. They built monasteries in several places (including Ardfert, Shanakeel, and at the foot of Brandon Hill) and Brendan oversaw their development and expanding mission. He even appointed his sister as abbess over one of the monasteries. He became known throughout Ireland as a master of Christian spirituality and a peer of Patrick and Brigid.